OLIVER – When wildfires get out of control, the consequences for people, livestock and property can be devastating. Having a livestock evacuation plan is critical to saving time and possibly lives. Two years ago, when fire swept through Rock Creek, Tompkins’ husband Jim was called in as a C-DART volunteer to help evacuate pets and horses. A few hours after he left, a fire started behind Tompkins’ property near Oliver and she was ordered to evacuate. “There was a bit of panic because Jim had the truck and trailer. We had four neighbours come in with a truck and trailer, and within an hour and a half, it was done,” she says. 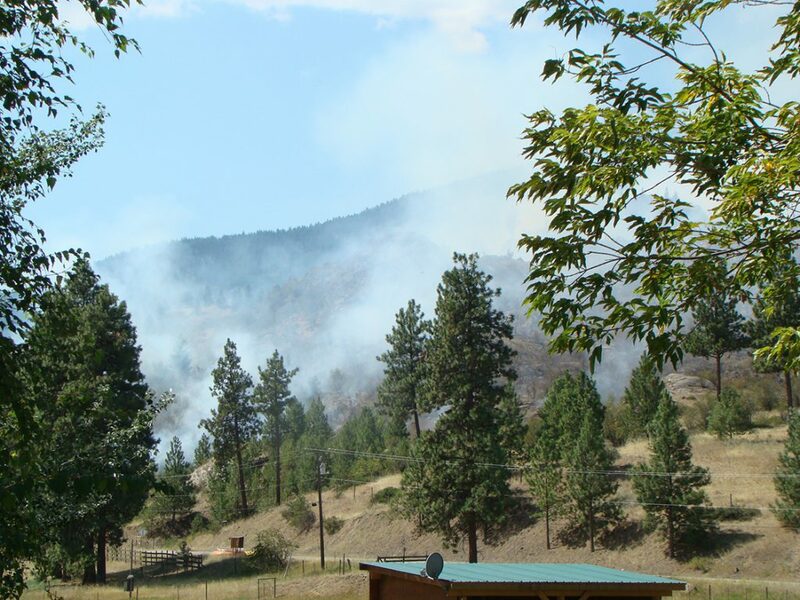 By the time Jim returned, fire had flared up near Osoyoos and he went to pick up horses and llamas. That fire season, they faced mandatory evacuation twice and voluntarily left a third time. Tompkins is the first to say that having a plan in place is what made it possible to get out in time, even under duress. She says without ALERT and the training they provided, the whole process would have been much less efficient and effective. Shari McDowell is president of ALERT. She is proud of the service her group provides but says livestock and pet owners need to be as self-sufficient as possible because an emergency response can take time. Once in the evacuation zone, ALERT volunteers can only respond to specific requests for assistance. They cannot seize an animal or enter private property without an owner’s permission. Requests can be made by contacting ALERT or completing the request form on their website at [www.alertcanada.org]. In order to work in evacuation zones, ALERT volunteers complete a half-day training session that covers emergency response protocols as well as how to stay safe, keep the animals safe, and stay within the limits of what ALERT is allowed to do. The organization has about 80 trained volunteers and is looking for new recruits. ALERT will be running a volunteer training session in July. While ALERT responds to the needs of domesticated animals from cats and guinea pigs to horses and llamas, it doesn’t typically handle commercial livestock. Duncan Barnett, a director with the BC Cattlemen’s Association and chairs the Livestock Industry Protection Committee, which is responsible for emergency planning whether it’s fire, floods, transportation or animal diseases. 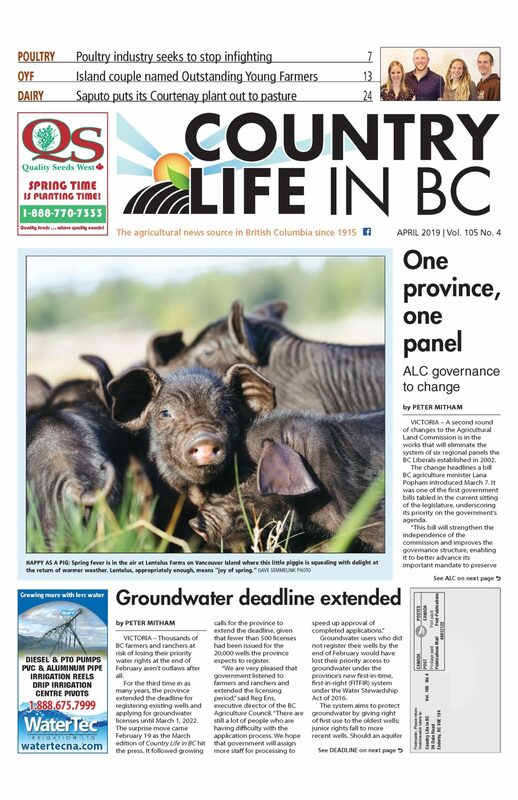 Regional cattle groups like the Cariboo Cattlemen’s Association work with local governments and fire response groups to make sure that farmers and ranchers are part of regional fire response plans. If ranchers plan to stay behind to protect property and livestock, Barnett recommends they take the two-day S-100 Basic Fire Suppression and Safety training. “If our members have taken that course, it provides some assurance to emergency officials that the person has an understanding of what they are doing,” he says. Barnett encourages ranchers to have their own plans in place, particularly for dealing with evacuating cattle, or bringing them in off the range. Mapping the ranch and pastures and thinking through what would be needed to gather, load and transport cattle will pay off with faster, safer, more efficient response times.